5lbs of Fat vs. 5 lbs of muscle - InspireMyWorkout.com - A collection of fitness quotes, workout quotes and workout motivation! 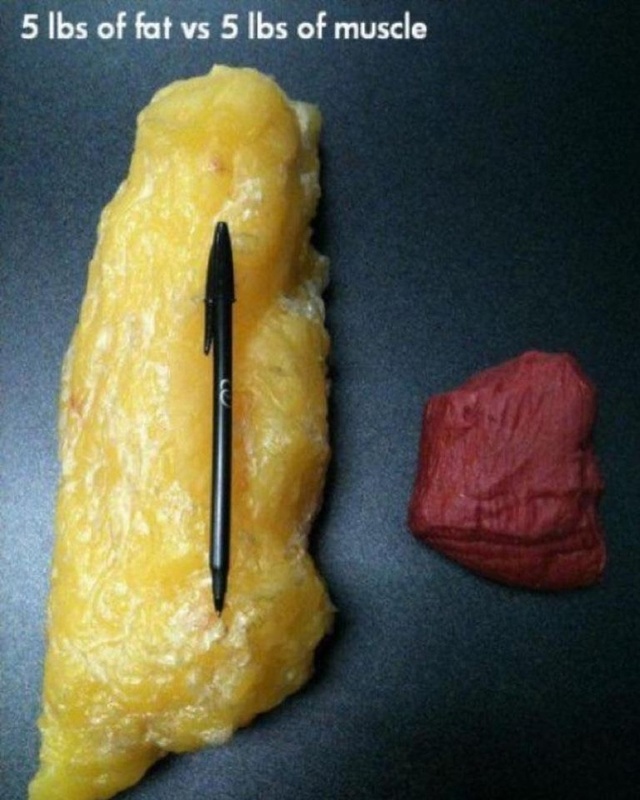 Here’s how five pounds of fat vs. five pounds of muscle look like. Muscles will make you look lean and fit. Start exercising! Next: Fit is not a destination. It is a way of life.